"Working to make you smile!" dental-clinique is proud to confirm it has successfully complied with all CQC requirments following recent inspections.across all sites. We are also proud to confirm that we have successfully completed a recent inspection by the BDA Good Practice Scheme allowing us to continue to be recognised as a practice meeting the high standards it sets. The Hygienist is a very important member of our team. They specialise in the treatment and prevention of gum diseases, which can cause teeth to be lost through the destruction of the supporting bone and soft tissues. They routinely clean teeth, monitor gum condition and offer advice on oral hygiene, diet and risk factors such as smoking. If your dentist recommends an appointment with the hygienist it is because signs of gum problems have been diagnosed and you will benefit from the additional care that the hygienist can offer in both preventive advice and active treatment. The Therapist is able to provide additional services to those stated above in that they are able to undertake simple fillings, recement crowns/bridges, extract/root treat deciduous teeth and take x-rays and impressions. Their role is expanding and it is envisaged that they will be able to undertake further treatments as their skills develop through assessed training. If your dentist recommends an appointment with the Therapist it is because part or all of the care you require is deemed suitable for undertaking by the Therapist following assessment by the Dentist. In utilising skill mix and out sourcing simple procedures in this way, it frees up the Dentists time to undertake more assessments and complex procedures helping to reduce waiting times and improve practice efficiency ensuring that you recieve safe and timely care. 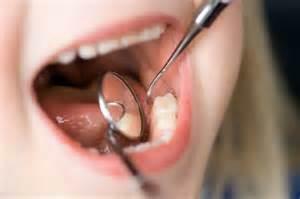 Successful prevention of dental disease starts early in life. We give patients and parents advice on good oral hygiene techniques, diet and fluoride use. We encourage regular attendance to enable us to identify any potential problems early on because we know that basic preventative measures can dramatically improve longterm oral health. We utilise fluoride varnish applications and the undertaking of resin fissure sealants to help us achieve this. We adhere to NICE (National Institute for Health and Clinical Excellence) guidelines which state a patient should be placed into a risk category and then assigned an appropriate recall interval. This means a patient who frequently suffers from dental disease is seen more often than a patient who is dentally fit, meaning tailored care for every patient. At Dental-Clinique we try our best to help prevent you from needing fillings but where this is not possible we offer a host of different filling types to help meet your needs. These include metal fillings and tooth coloured fillings. Periodontal disease in its early stages is known as 'gingivitis' and is reversible. If not treated through good oral hygiene and by eliminating risk factors such as smoking, it can progress to 'periodontitis' which unfortunately is not reversible. Periodontal disease if not treated can lead to bone and soft tissue loss which is the number one cause of tooth loss in the UK, so prevention is better than cure. This is a procedure designed to treat infection within the tooth and is an alternative to an extraction, allowing the tooth to be saved. The procedure is complex but worthwhile and takes time to be done correctly. We employ the latest methods and technology to make the procedure as quick and effective as possible. Sometimes despite best efforts it is inevitable that a tooth has to be extracted or some form of surgery undertaken. At Dental-Clinique we understand that this can be a daunting thought and we endeavour to reassure all our patients and make arrnagements for the procedure to be undertaken quickly and painlessly. Where required we are also able to refer patients for this under either sedation or a general anaesthetic. Where extractions are carried out patients are advised of the possible replacement options, these could include a denture, a bridge or dental implant. Where there is a risk of repeated fracture or there is not enough tooth tissue to simply fill the tooth we can consider more advanced methods of restoring teeth. 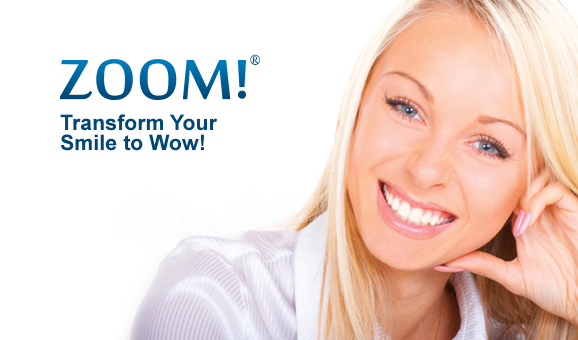 Crowns are one method of helping to protect teeth and of restoring both their form and function. They come in a wide variety of materials including porcelains and metals. We are happy to discuss the different options available to help meet your individual needs. Where missing teeth need to be replaced this can be done through a variety of ways. These include dentures, bridges and implant options to help meet your needs. Losing a tooth can be the cause of real social and psychological concern, as well as affecting the function and general health of the other teeth, due to the resulting tooth movement. Dentures - The classic “false teeth” These are removable and reversible replacements. They are constructed in either acrylic or cobalt-chrome metal and acrylic over a series of appointments involving the dental technician. At Dental-Clinique we construct many different types of dentures including: full and partial plastic dentures, metal partial dentures and flexible partial dentures. Recent advancements in the field have now allowed for implant retained/supported dentures where dental implants are used with connectors to increase the retention of dentures. Bridges - A bridge is used as a fixed replacement for one or more missing teeth. They are both aesthetic and functional, restoring your natural bite and preventing movement of adjacent teeth and over eruption of the tooth opposite the gap. In simple terms they can be viewed as crowns joined together and cemented on the supporting teeth, with a fixed false tooth in between to "bridge the gap". They are a very desirable alternative to a removable partial denture. Implants - An implant is a device made of titanium that is gently placed into your jaw to act as an anchor for a single crown, a bridge, or to hold a denture in place. It becomes fixed to the bone by “osseo-integration” i.e. it becomes integrated into the jaw bone as the bone grows around it. The procedure is carried out under local anaesthetic with addition of sedation if required. We are happy to discuss the different options avaialble to help meet your individual needs. We are able to refer you for the best possible care where necessary either within our group of practices or to a specialist of your choice. We are able to change the colour of natural teeth using both in surgery laser whitening or a gel and custom tray system for at home use. 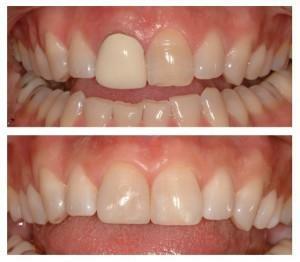 The results are very pleasing and can improve both the appearance of the smile and dental confidence. Although most adults seek orthodontics for cosmetic reasons, many also seek treatment because of jaw dysfunction, excessive wearing of teeth and gum or hygiene problems. Our approach is to concentrate on straightening teeth and on achieving harmony for your teeth, jaws and face. Focusing on the bigger picture, we achieve straight teeth, a healthy function of the jaw joints, a more pleasing appearance and long lasting results. 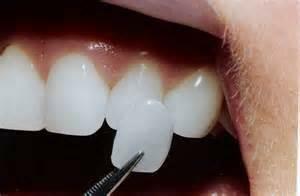 We can also camofluge or manipulate the smile to give the appearance of starighter teeth. Through the use of adhesive dentistry it is possible for us to improve worn, discoloured or misaligned teeth through a multi-technique method. A veneer is a very fine facing of porcelain made by the dental technician in the laboratory which is bonded onto your natural tooth. The primary function is to improve the appearance and they can involve very little preparation of your own natural tooth. Often existing crowns can contain metal which can make the teeth appear less translucent or opaque making them stand out. Also recession around such crowns can reveal dark margins which are unsightly - we can replace such deteriroating crowns with cosmetic rowns to help improve smiles and restore confidence. 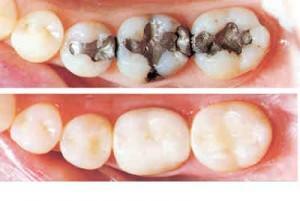 White fillings are a strong and more attractice alternative to silver fillings. Not only do they look great but by virtue of their adhesive nature they are both minimally invasive and help add strength to weakened teeth. 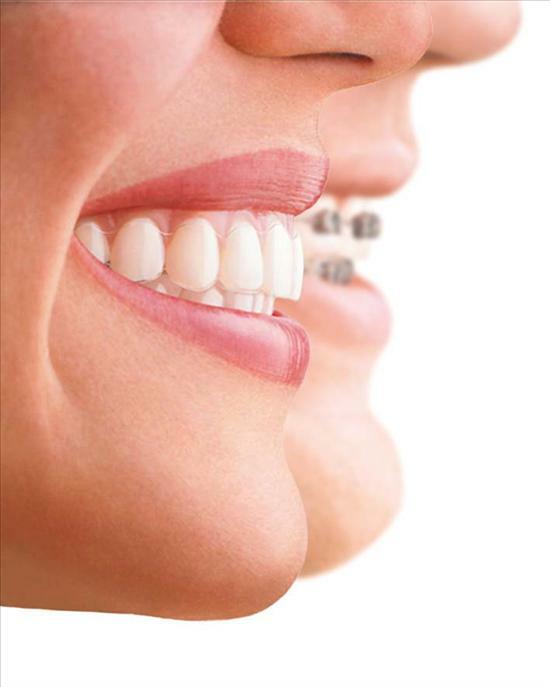 Orthodontics is the branch of dentistry concerned with the growth of the teeth, jaws and face. Orthodontic treatment is about making the best of your teeth; it is about improving the harmony of your mouth and jaws. Once you can bite together correctly, you can eat more comfortably and care for your teeth and gums more easily. We appreciate that many individuls have severe phobias and experience anxiety when attending the denist. To help these individuals overcome their fears and access dental care we are able to offer dental sedation.